There’s a big event that I’ve had on my mind for years. It’s the Gore-Tex Transrockies Run. This year’s gig is six days, 120 miles with 20,000 feet of elevation gain. I’m looking at running the 2015 race so I figure the mileage and such should be about the same. Go here for maps and descriptions of this year’s stages. Preparation for the Transrockies run means a whole lotta running this year. I need to do more trail races and another marathon, most likely a trail marathon. I’m running a lot (for me) right now. I’m up to about 30 miles per week. I’ve got a 5k this weekend and more races planned (more on that in a moment.) The very good news is that everything is feeling solid and strong, including my stubborn, chronic Achilles/heel trouble. My first and only marathon (two years ago) was based on the FIRST Run Less, Run Faster plan. 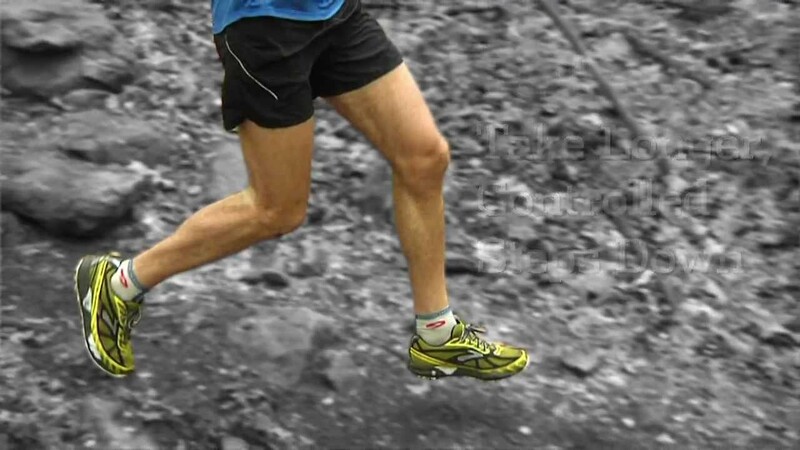 This plan has only three run days per week: a track workout, tempo run, and a distance run. Two days a week were devoted to a cross-training workout on a bike or rower. I also ran the Ft. Collins Half-Marathon and Park-to-Park 10-Miler based on this plan. It’s a minimalist running plan. It’s very useful if there’s limited training time available. This plan got me through several races but I want to know if a different type of plan will increase my performance. I’m curious if more running will make me a better runner. You see, running is a bit like juggling. It is a motor skill that requires communication between your brain and your muscles. A great juggler has developed highly refined communication between his brain and muscles during the act of juggling, which enables him to juggle three plates with one hand while blindfolded. A well-trained runner has developed super-efficient communication between her brain and muscles during the act of running, allowing her to run at a high, sustained speed with a remarkably low rate of energy expenditure. Sure, the improvements that a runner makes in neuromuscular coordination are less visible than those made by a juggler, but they are no less real. For both the juggler and the runner, it is time spent simply practicing the relevant action that improves communication between the brain and the muscles. It’s not a matter of testing physiological limits, but of developing a skill through repetition. Thus, the juggler who juggles an hour a day will improve faster than the juggler who juggles five minutes a day, even if the former practices in a dozen separate five-minute sessions and therefore never gets tired. And the same is true for the runner. The Hansons Plan has me running often in a fatigued state. The longest run I do though is 16 miles. Most marathon plans feature a 20 mile run. So why only 16 as a longest run? This 16-miler will take place after several days of running. I’ll have a tempo run then an 8 or 6 mile run the day before the 16-miler. The idea as they say in the Hansons book is that I’ll be training to run the last 16 miles of the marathon. Sounds interesting and plausible to me. That goes along with something Coach Johnson suggested. He said that at some point, in preparation for the Transrockies Run, that every other week I should run back-to-back long trail runs. Again, this goes to the idea of training specificity. I imagine I’ll do that next year. 3/2/14 – That Dam 5k – Denver: I need to run a 5k so I can derive my training paces for the marathon plan. 4/6/14 – XTERRA Cheyenne Mt. 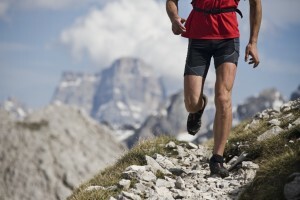 Trail Run 12km – CO Springs: Don’t know anything about this race but I’m looking fwd to it. 5/4/14 – Ft. Collins Marathon 13.1: Ran this one last year and had a great time. Went out a tiny bit too fast though. Hope to better my time of 1:47. 6/7/14(maybe) – Boulder Sunrise Duathlon 3.1 mile run / 17.3 mile bike / 3.1 mile run – Boulder: My wife is doing this triathlon. I don’t swim well enough to do a tri but I’ve done some duathlons and this might be fun and a change of pace. Summer – 5k: Coach Jay Johnson suggested I train for and race a 5k. He said putting in that speed work would be useful for a Fall marathon. 8/23/14 (maybe) – Continental Divide Trail Race 15.5 mi. – Steamboat: Ran this one a couple of years ago and it was brutal but beautiful and a very laid-back kinda thing. Wouldn’t mind taking it on again in a better pair of shoes. Not sure if this one fits into the overall race plan. 9/20/14 – Aspen Golden Leaf Trail Half-Marathon – Aspen: This race got a great write-up in some running magazine (Runner’s World? Competitor?) recently. We’ve never been to Aspen. Sounds interesting. Should be good preparation for the marathon. 11/8/14 – Moab Trail Marathon: This is my main race. We’ve never been to Moab and this is a great reason to go. That’s my plan right now. I’m very excited about this! I’m feeling great right now. I really love the process of getting to these races. I love the anticipation and the training. We’ll see what happens. I’m very careful to avoid much if any bending or twisting at the lumbar spine. According to McGill, the core musculature responds best to endurance-type training, so I now go for time rather than out-and-out strength. McGill makes the observation that excellent athletes tend to have a very rigid core–but very mobile hips and shoulders. Here are two videos with McGill. The first has McGill discussing several myths regarding low back pain and core strength. In the second video we see demonstrations of three exercises often prescribed by McGill. These are often called the Big 3: the curl up, side plank and bird dog. ? I’m a little late to the party but I recently finished Chris McDougal’s Born to Run. This book has done more than almost anything to push the popularity of minimalist running. Born to Run is more than a book about running. Much of the book concerns the history and culture of the Tarahumara people who live in the isolated Copper Canyon region of Mexico. Non-runners with any interest in other cultures will find this book very interesting. The story is quite entertaining. It’s possible that the entertainment value of the book and a subsequent New York Times article from McDougal have somewhat overshadowed some facts. Alex Hutchinson who writes the Sweat Science blog for runner’s world describes an interview with McDougal that clashes with later statements from McDougal. I was a broken-down, middle-aged, ex-runner when I arrived. Nine months later, I was transformed. After getting rid of my cushioned shoes and adopting the Tarahumaras’ whisper-soft stride, I was able to join them for a 50-mile race through the canyons. I haven’t lost a day of running to injury since. Long plagued by an endless series of running injuries, he set out to remake his running form under the guidance of expert mentors, doctors and gurus. He adjusted to flimsier and flimsier shoes, learning to avoid crashing down on his heel with each stride and landing more gently on his midfoot. It was initially successful, and after nine months of blissful training, he achieved the once-unthinkable goal of completing a 50-mile race with the Tarahumara. But soon afterwards, he was felled by a persistent case of plantar fasciitis that lingered for two years. “I thought my technique was Tarahumara pure,” he recalls ruefully, “but I had regressed to my old form.” Now, having re-corrected the “errors” in his running form, he is once again running pain-free. McDougal responds to Hutchinson’s post here and Hutchinson replies back. Personally this doesn’t do much to bother me or take away from a) a great story that’s told in Born to Run or b) the value and importance of minimalist running. I think it does suggest that McDougal is not a scientist and that the need to create a compelling story may persuade a writer to drift towards a bit of exaggeration. What’s your take on this back-and-forth? Here’s another party to which I’m a bit late: the high-fat ketogenic diet. In fact, most people who’ve tried it probably abandoned it back in the early 2000s. (I think they should’ve have.) You’ve heard of the Atkins diet. That’s largely what I’m doing now. Their book is well-referenced and fairly easy to understand. They present convincing evidence (to me) in favor of a) greatly reducing carbohydrate and b) greatly increasing fat intake and c) why this strategy can be very effective for athletes. Burning fat for fuel (aka ketogenesis) is a cleaner process. You have a nearly limitless supply of fat for fuel compared to a limited supply of glycogen. By shifting your metabolism to prefer fat, you’ll avoid bonking. Also, by shifting your metabolism to prefer fat you’ll improve your body composition. Besides the aesthetic appeal of a lean physique, if you’re lighter then you’ll have a better ability to produce power. If you’re lighter then you should be able to run and bike faster. Endurance athletes who experience GI distress may do very well on the high-fat diet. I was motivated to dig into this type of eating after I spoke with my former client and friend Mike Piet. 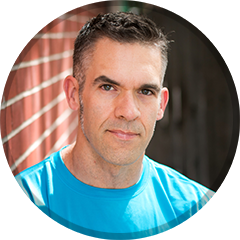 He’s moved in the low-carb direction after his friend and accomplished ultra-distance runner Jon Rutherford. Jon’s experience as an athlete who’s increased his performance is described in the Art & Science of Low-Carbohydrate Performance. Thus far, I like the results. I’ll talk more about them as this experiment continues. Look for Mike Piet’s guest blog post as he describes his very interesting low-carb/high-fat experience during the Savage Man Olympic and half-Iron distance triathlons–done on consecutive days.